Handel is always played in December, but liturgically this is quite wrong. Join us and the APO for this joyous concert. It’s been talked about for a long time and now finally, New Zealand’s three national choirs, Voices New Zealand, NZ Youth Choir and New Zealand Secondary Students Choir (NZSSC), are to merge under one governing body. 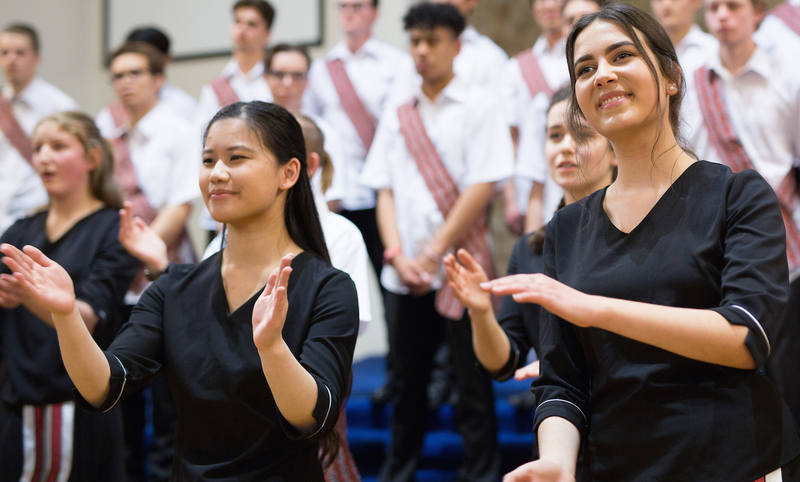 NZSSC, the prestigious national choir for 14-18 year olds, is joining Choirs Aotearoa New Zealand, the arts trust that promotes vocal excellence and already governs the other two national choirs. Our Artistic Director reflects on the 20th anniversary of VOICES in context of the upcoming concert with The King’s Singers. The photograph shows Karen and VOICES at a 2002 concert in Christchurch. It is a wonderful achievement to be now in our twentieth year. I’m not sure any of us, whose bright idea it was in 1998 to form a national, professional-level chamber choir, thought that we would be celebrating our twentieth year in such style: performing with The King’s Singers, recording and performing with the Auckland Philharmonia and the New Zealand Symphony Orchestra and touring internationally to England, Germany, France and Spain. Well, we are! As for Voices New Zealand Chamber Choir, the inspiration initially came from singers who had sung in national youth choirs and who wanted to continue the opportunity at a national, professional level.